"Jesse Turner is playing extremely well and is ready for stronger opponents. 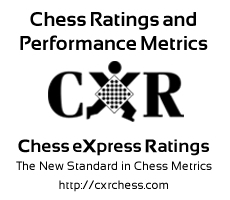 Jesse has faced opponents with an average rating of 1512.9. He should seek opponents of equal or greater strength in order to improve. Jesse Turner has a winning streak of 5 games and has not been beaten in the last 13 games."